Do you or your pet find sitting in the vet’s waiting room stressful and difficult to cope with? Do you struggle to persuade you cat to get into your pet carrier? Do you have many pets, which makes it impossible to bring them all at once? Are you housebound for any reason or have no transport? Have you been putting off coming to the vet’s with your pet because of the thought of getting here? If the answer to any of these questions is YES, then we can come to you. We know that trips to the vets are not always that simple. For example, trying to carry two cat carriers, hold the dog on a lead, push a pram and hold onto a toddler at the same time can be a challenge for the best of us! We are fully accessible for wheelchair users and have disabled parking but even then you may wish to use our home visit service. 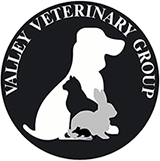 Here at Valley Veterinary Group we aim to provide a personal, affordable option of a home visit for our registered clients. The home visit service is designed for routine consultations, such as vaccinations, health examinations and simple procedures such as nail clips. If your pet is very poorly or needs a lot of further investigation we may recommend that you come to the surgery, as only a limited amount can be done at home. If the time has come to have your beloved pet put to sleep, then we are more than happy to come out to your house, if this makes it any easier for you. During these circumstances we will do as much as practically possible to accommodate your wishes at that difficult time.